Home / SkinCare / Essential Oils - Eden's Semilla. 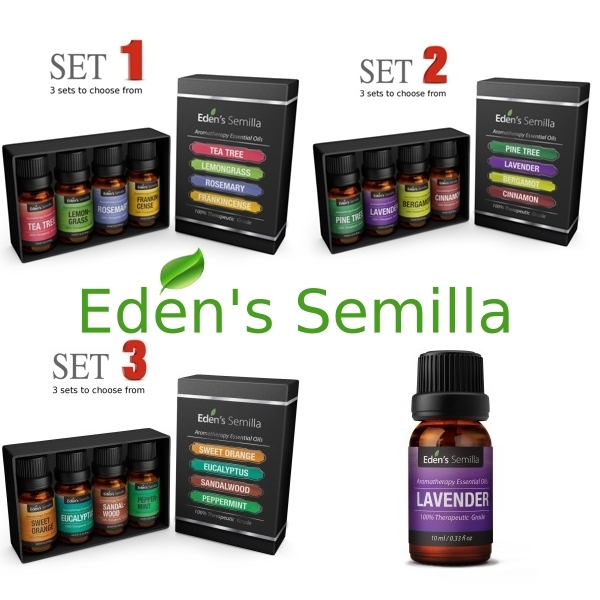 Essential Oils - Eden's Semilla. Essential oil is a natural oil typically obtained by distillation and having the characteristic odour of the plant or other source from which it is extracted. Essential oils can enter the body in three ways depending on which usage direction you choose. Apply directly onto the skin, inhale or ingested, whilst using the right essential oil for the problem you might be experiencing, as essential oils are used for and in the practise of aromatherapy and various traditional medicinal systems. 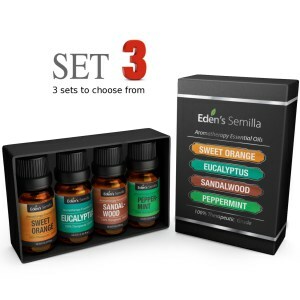 Eden's Semilla offer an extensive range of therapeutic essential oils that you can either buy individual or in a set kit containing four essential oils. Each essential oil is of premium quality and are of pure and natural quality, due to their up to date manufacturing processes of steam distillation or suppression, which means no additives or solvents are present in the oil just pure goodness for the user! Tea Tree - A potent antiseptic used in traditional healing to help fight against infection. Used to treat acne, fungal infections, and a host of skin conditions. Provides relief against itching and burns. A natural deodoriser, household cleaner and insect repellent. Lemon Grass - A great natural deodoriser and bespoke air freshener when added to other oils. Can help to repair damaged skin or hair due to it’s antiseptic and astringent (to contract) qualities. Can be used as a cleaner or to combat bacteria. Rosemary - Contains anti-inflammatory properties and is often used for pain relief, aching muscles and to combat respiratory problems. Provides anti-oxidant protection for a healthy immune system and is an effective stress reliever. Frankincense - Has been shown to reduce heart rate and is often used to treat anxiety. A potent stress reliever when inhaled or when added to a hot bath. Contains natural healing properties and offers effective skin protection. Pine Tree - A powerful natural deodoriser and air freshener that delivers a soothing and warming fragrance. Helps ease aches and pains and provides antioxidant defence against common allergies. Lavender - Add a few drops to a bath or diffuser to create a soothing feeling and to help reduce stress and tension. Contains antibacterial properties and can be used to treat minor skin infections or burns. A great natural insect repellent. Bergamot - Used in aromatherapy to purify by create a calming and relaxing atmosphere. Helps to relieve emotional anxiety and soothes the senses. Is what gives Earl Grey tea it’s distinct flavour. Cinnamon - Provides pain relief for stiff and aching muscles, painful joints and arthritis. Helps to reduce skin inflammation and irritation. Sweet Orange - An antibacterial air cleanser with a fruity fragrance. Often used for ceremonial occasions and other festivities. Enhances energy levels and combats fatigue. Great for adding freshness to your cleaning routine. Eucalyptus - Great for colds – helps to clear sinuses (sinusitis) and aids respiration as well as defending against well-known allergens. Contains other healing benefits that help to ward off infection and cleanse the body form toxins. Peppermint - Provides pain relief for aching muscles and joints, insect bites and general skin irritation. A potent natural insect repellent whilst adding freshness to any room. 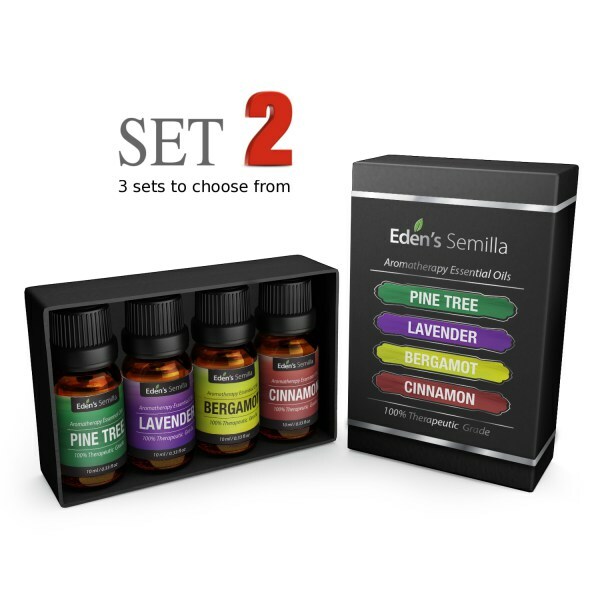 You can purchase each Essential Oil individually, if you don't want to commit to using a kit. Essential Oils are natural remedies that prove to be highly popular for wellness and relaxation. They can be used for a massage to relieve aches and pains, but make sure to mix, before use, with a carrier oil, which is recommended to be a carrier oil of 1:15. Essential oils can also be used and are ideal for diffusers and vapouriser's. The scent from using these two methods will lift and evoke your senses depending on what oil, you choose to use. Adding a few drops to a night bath or foot spa will not only be a welcoming edition, especially after a long work day, but will also help you feel calm and relaxed preparing you for a restful nights sleep. 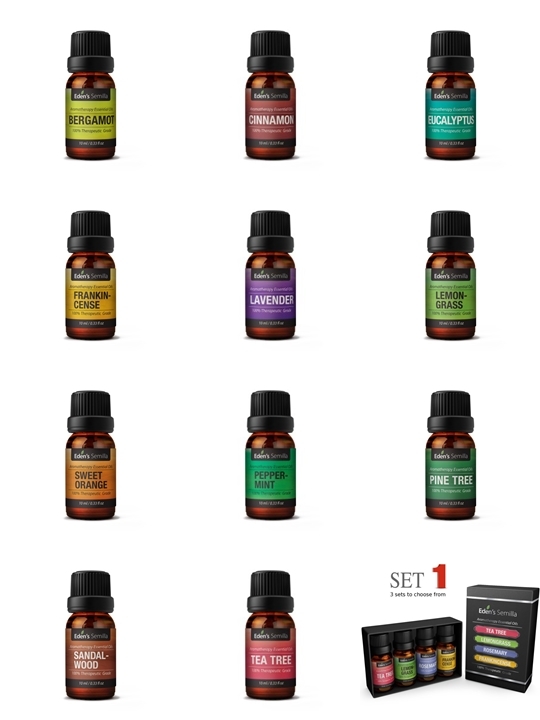 Essential oils are a great non medicinal aid to help you, all you have to decide is which one are you going to try? Always read the label for directions as there will be great tips on how to use. Head on over to discover Eden's Semilla high quality, essential oils range. X Neil.